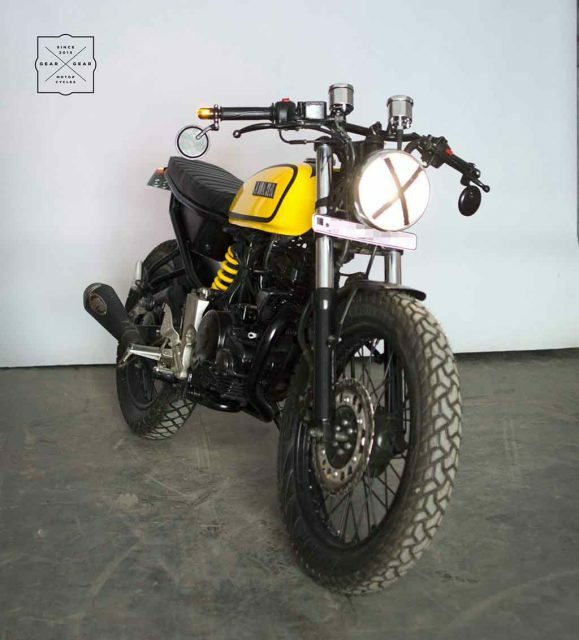 There are many motorcycle enthusiasts around us, who love to customise their machines in such unique way that the motorcycles stand out in the crowd. 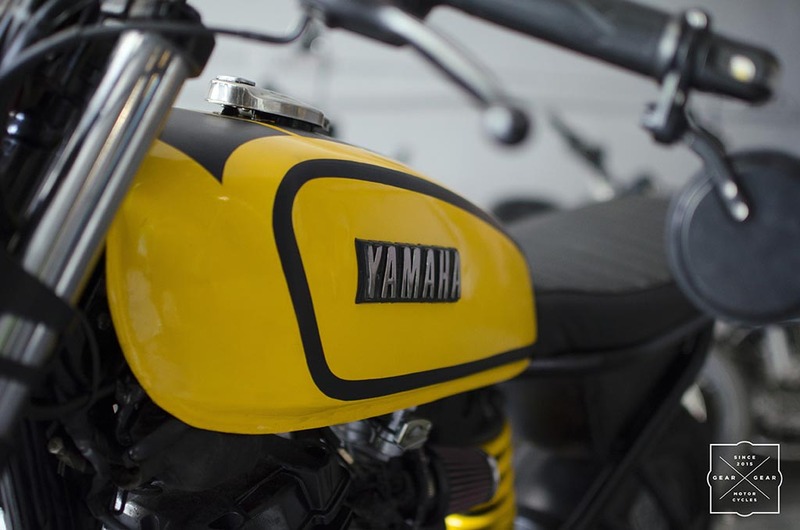 Here is a Yamaha FZ converted into a Yamaha RX100. 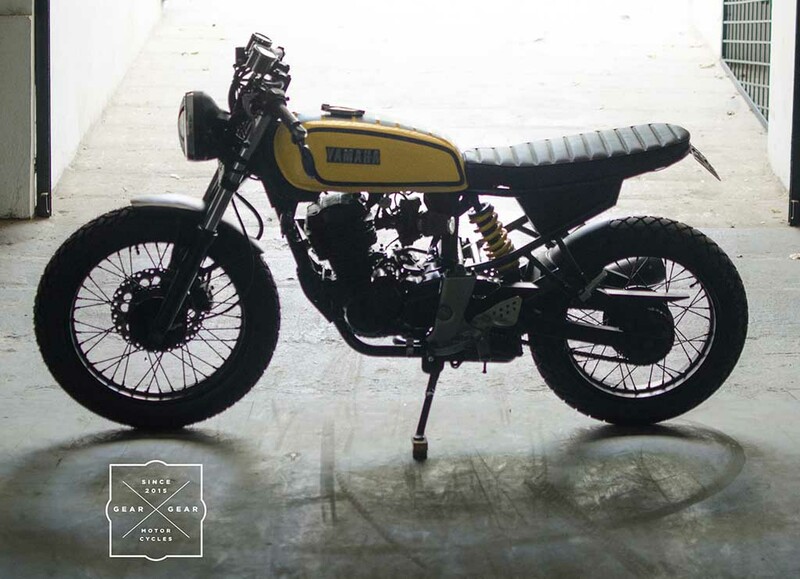 Customised by Bengaluru-based Gear Gear Motorcycle, the motorcycle bears plenty of resemblance with the iconic RX100 and it is actually a cafe racer. 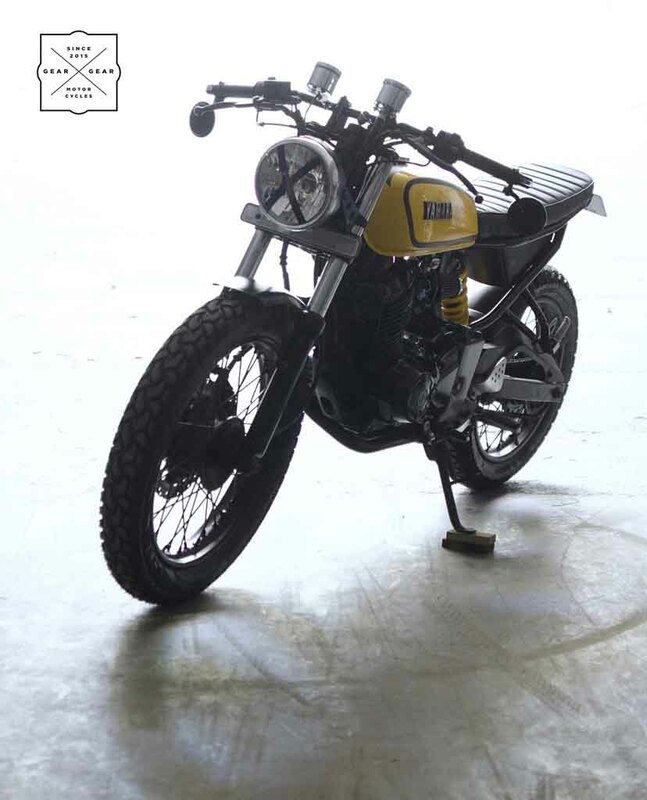 No wonder, the mod-job has been done very tastefully, and the motorcycle looks very appealing and aggressive with the perfect blend of masculine style and retro charm. Also, in an attempt to reduce its weight significantly, the modifier has removed several body parts of the stock FZ, which makes the customised product pretty minimalist looking. It comes with a large round shaped retro looking headlamp. The twin-pod instrument cluster gets analog display and sits separately clipped on the handlebar. On tip of the handlebar, there are sleek LED turn indicators and the blackened round shaped rear view mirrors are positioned at the tip of the handlebar, which has been lowered. 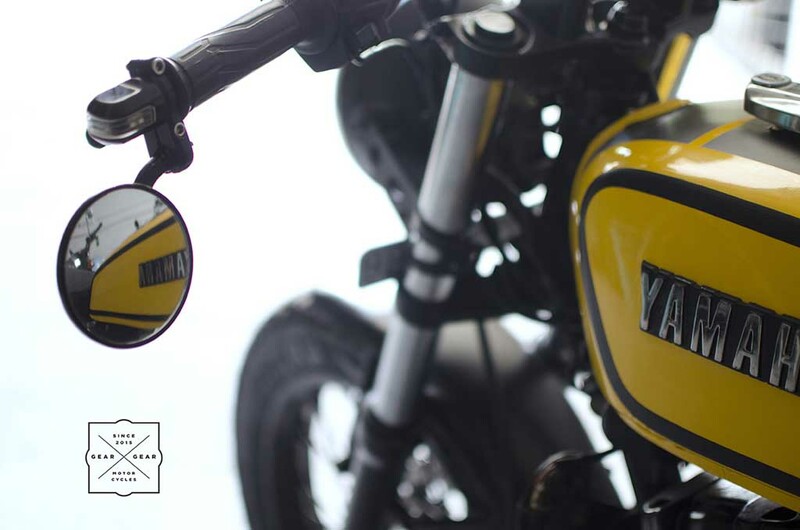 The fuel tank painted in yellow and donning black lining as well comes in a chunky appearance. The flat and long seat gets old-school look and leather treatment. 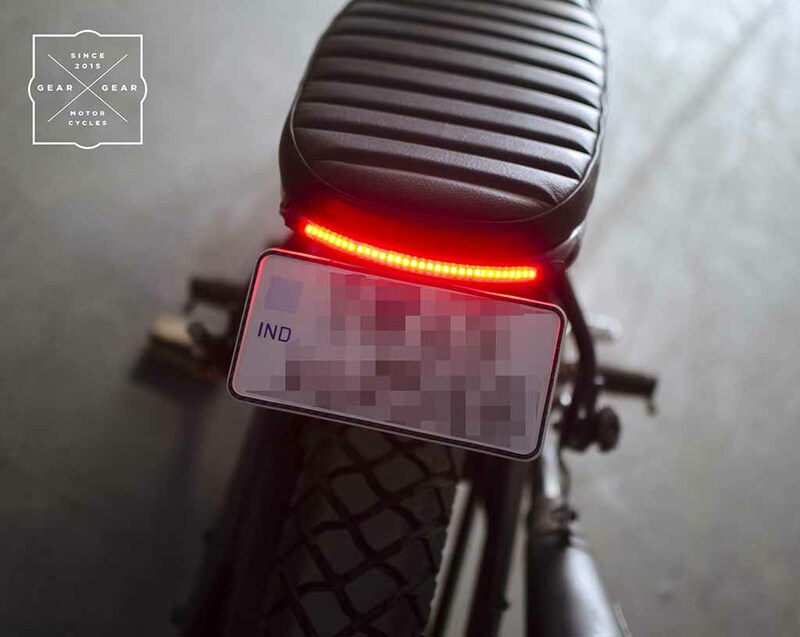 The customised motorcycle gets a sleek and wide LED taillight. It gets new electrical and the exhaust has been changed as well, while the multi-spoke wheels brings on and classic look to the motorcycle. It runs on meaty, wide and bold looking tyres. Suspension duty in the model is done by telescopic front forks and rear gets monoshock absorber. Braking power is provided by a front disc brake and a rear drum unit. While the stock Yamaha FZ weighs 135 kg, the customised model is expected to much lighter thanks to the removal of several body parts. The stock Yamaha FZ is powered by a 153 cc single-cylinder, air-cooled, SOHC engine mated to a 5-speed gearbox. The engine is capable of churning out 14 PS of peak power at 7,500 rpm and 13.6 Nm of peak torque at 6,000 rpm. 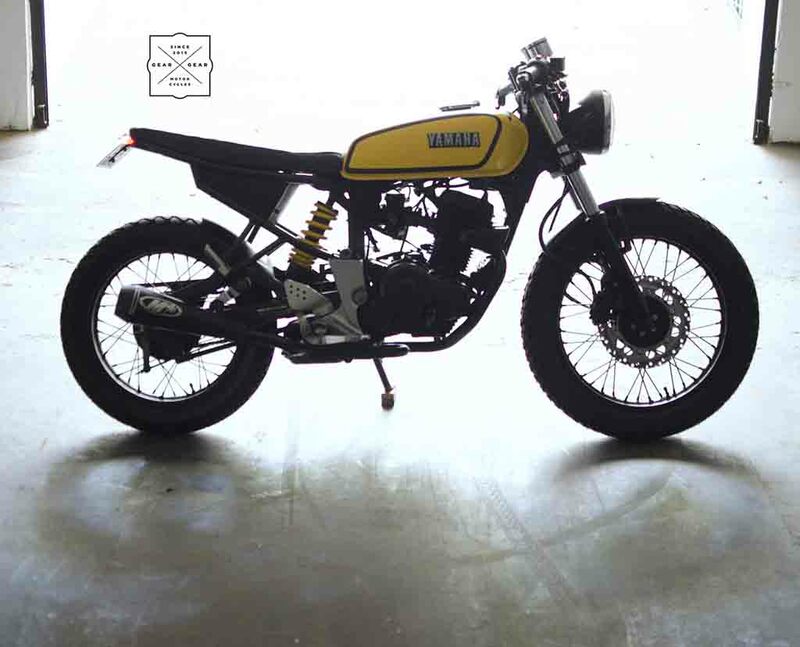 It is not clear, if the power and torque output of the modified motorcycle are unchanged or not.